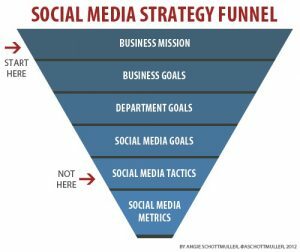 Having a well-developed, thorough, and detailed social media plan is vital for generating great results from your efforts on social media, but unfortunately, many businesses are trying to operate without any vision and plan, and this is like driving to an unknown destination without any road signs, GPS, or map. Chances are, you’re tired of operating your social media with a blindfold and want to develop a social media strategy that will save you both time, energy, and money. Luckily, that’s exactly what I’ll talk about in this article. 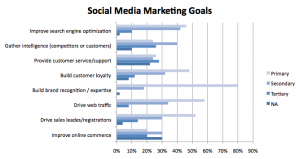 In this article, I’ll present Reasons You Need A Social Media Strategy and How to Create One. Now, before we get into the nitty-gritty of developing a social media strategy, we first need to know what it is, and what it means. A social media strategy, also known as social media plan is like a roadmap that tells you detailed information about your destination. It tells you where you are going, what road(s) you can take to get there, and how long you have to your destination. 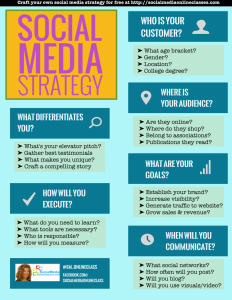 The strategy defines what you are hoping to achieve on social media, and how, and what you need to do to achieve it. The social media strategy is often parable with a blueprint. You will probably manage to build a house without a blueprint as long as you have the right skills, however, it will most likely take longer time, demand more effort, and the outcome won’t be that great. To be able to define your objectives, the social strategy allows you to do a detailed audit of your social media accounts and presence today, to give you a better insight into what goals are reasonable. The more specific and detailed you are in your social media strategy, the better and more helpful it will be. You want to include clear strategies and goals that are attainable, and not just write things that look and sound good. After all, it is you and your team that will use the strategy, but if no-one can understand what it means, and it is just filled with a bunch of fluff words, it won’t help to anyone. Your plan will allow you to measure the results of your efforts, and more importantly, tell you if you’re succeeding or failing. Therefore, you don’t want to set up your strategy for fail right from the bat. When looking at the social media strategy as a road map, when you have no signs or GPS, it becomes quite clear how having one is extremely helpful and beneficial. 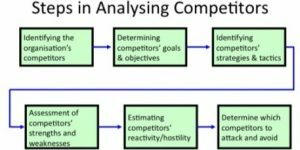 If you’re going to race your competitors from A to B – both completely unfamiliar with the location, and your competitor has a map and you don’t, who do you think will win the race? Today, you don’t see many businesses with a non-existing social media presence, and as a result of this, more and more brands are also developing strategies that will help them execute better, and ultimately reach better results. 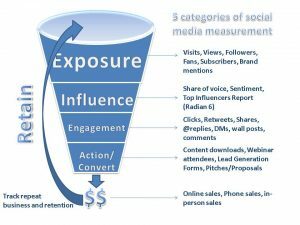 Someone who has a well-developed social media strategy has a tool that tells them what do do, how to do it, when to do it, and why to do it, as a result of the already set objectives with social media. Inevitably better results will be attained because you know the direction where you are going. This is especially important if you’re working in a team. If no-one knows the direction you are going, everyone will end up pulling in different directions and you won’t come anywhere. Without a strategy, you won’t know if the things you are doing are actually benefiting your business. Maybe your efforts will do the opposite and hurt your brand? As a result, there’s a great risk that you end up wasting your own and your team’s efforts and time on things that are leading your brand in the wrong direction, or straight up is hurting you. At the same time, competitors of yours that have a developed strategy are working smarter than you, know what to do, who to target, what posts to share, and how well they are performing. There are currently more than 2.46 billion social media users across the globe, so there’s no denying that the vast majority of businesses can find their target audience there. The only small question is how you’re going to find them. Social media is a greatly effective way to reach and engage and impact your target audience, but you need to know how you’re going to reach them. Many brands celebrate that they’ve received X number of likes or X number of retweets, but if those actions aren’t performed by people who are relevant to your business, what are they good for? With the help of a social strategy, you’ll better aim your efforts towards the people who truly matter for your brand, preventing you from wasting your efforts. As a business, you should always follow entrepreneur Gary Vaynerchuk‘s example “Jab, jab, jab, right hook“. This means that you need to provide value to your audience over and over, before finally asking them for a sale. When you provide value to your audience, they are more likely to buy from you, but if you don’t know your audience’s needs, it’s difficult to provide them with the things you want. Your social media strategy defines your target audience and tells you how you’re best going to reach them, and this allows you to understand what they are really looking for, and what their needs are. If you are a brand in the horse equipment industry, then obviously your audience wants to see posts related to horses. If you start posting photos of dogs, it won’t meet your audience’s needs or interests, and they’ll shy away from you. 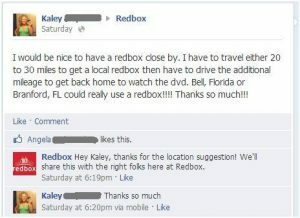 When you know your audience’s needs, you know better how to act and what to do on social media. Continuing on the point above, when you know the people who are your ideal audience, you will better plan your efforts. When you know who you are targeting and when you’ve understood them, you’ll quickly be able to remove the things that aren’t resonating well with your audience and do more of the things that they enjoy. If you don’t have a social media strategy, though, you’ll continue in the same pattern as you’ve always done, not knowing if your efforts are helping or hurting you. Now it’s time to get our hands dirty and create the social media strategy that will help you generate better results on social media, save time, energy, and money, as well as tell you what you should and shouldn’t do. Remember that the more detailed and specific you are, the more helpful the social media plan will be. The first step to any marketing effort is to set goals and defining the things you are hoping to achieve. Obviously, you wouldn’t use social media if you didn’t believe it helps, but what exactly does it help with, and what are you hoping to get from the time and effort you invest in social media? With clearly defined goals, you know what direction you should walk in, and you’ll better understand how well you are following that. When you have set clear goals, you’ll also make it easier for yourself to evaluate the results social media is generating. With goals, you’ll also be able to see when your efforts and campaigns aren’t generating the results you are hoping for and can put in resources and solutions accordingly. The most important thing when you aren’t generating the results you are hoping for is to quickly identify it and then put in appropriate resources, but without goals, you have no means of measuring success or proving the ROI of social media for your brand. Let’s say your goal is to receive a total of 50,000 likes over the course of a year. The “like” metric is in itself completely worthless, because a like doesn’t do you anything, however, it is the things that lead to a “like” that is beneficial to your brand, and to fully understand what that is, you need to ask the “why”. Why do you want to generate 50K likes? – Because it shows that our audience is engaged. Why do you want to show that your audience is engaged? -Because it is proof that we are targeting the right people and that our audience actually cares about the things we share. Now, the initial goal was to receive 50K likes, but the end answer after having asked why is far more detailed and specific, and will explain the reason to your goal – something that is far more beneficial for both you and your brand. Doing this will prevent you from setting goals that are dependent on vanity metrics on the platform such as likes, retweets, and comments. When setting goals, it is always the S.M.A.R.T. goal setting rules you want to follow. This means that the goals you set are: specific, measurable, attainable, relevant, and time-bound. This will allow you to think through your goals and set goals that are relevant to your brand and support your main objectives. Before you begin, you want to do an audit of your current social media presence and your accounts. You don’t want to start building an expensive house on a foundation that is unstable, and therefore, you want to evaluate the current state of your social media presence before you continue building on it because you might find out that there are lots of changes that need to be done on the foundation. What social platforms are you active on? Are your accounts set up properly? What platforms are most effective for you? When you’ve evaluated the current state of your brand’s social media, you ‘ll have a better understanding of the social media sources that are representing and marketing your business, which ones are doing it most effectively, who is running them, and what strategy you have for it. When you’ve evaluated your accounts, it will be clear which needs improvement, which aren’t generating the results you are hoping for, and possibly even that you should delete accounts because they’re doing more damage than it is actually helping you. In the process, you might also find accounts that are created to replicate your business. Report them or ask them to shut their accounts down. You don’t want to create any confusion among your customers with who is the real deal and who is not. Your customers might even start interacting with the accounts that are created to replicate your business and give them a terrible service – while the customer believes that it is actually you, thus harming your brand and reputation. 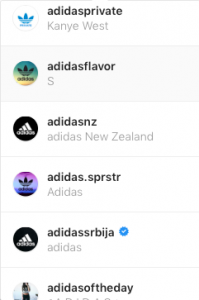 How many of these do you think belong to Adidas? The single most important thing when determining what social platforms you should spend your efforts on is your audience. Asking yourself the simple question “Is my audience here?” will tell you if the platform is good or not for your brand. Read Choosing the right social media platform for your business to better understand how different people are using different platforms – and if they do at all. Don’t believe that the more social platforms you are active on, the better results you’ll generate. At least not if you don’t have endless of resources. It is far more beneficial to focus on a few social platforms and generate amazing results rather than stretching yourself too thin and generate lousy results on many. 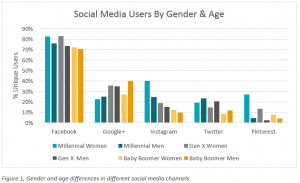 Knowing your target audience is vital for social media success, so logically, it plays an important role in your social media marketing strategy. Just like with your social media strategy in general, the more specific you are about your target audience, the better. If you don’t know who your target is, you are in great danger of wasting your time and effort. It doesn’t matter how good you are, and how much time you’ve investing, if you are targeting the wrong audience, you still won’t generate any results. With the help of social media data, you can create a detailed customer persona and make it a part of your social strategy. When you get to know your audience, you’ll be able to adapt your posts and campaigns to better suit their needs and interests. The results are greater results for the same efforts. Who says no to that? The objectives and goals that you set, in the beginning, play an important role in your success metrics. If you cannot measure it you cannot improve it, and therefore, you want to make it as easy as possible for you to clearly present and see results from social media. Social media can do a lot for your brand, but it is important that you focus on a few of them so you aren’t spreading yourself thin and trying to generate great results within all areas. All you’ll end up doing is generate lousy results within all of them. Yes, it is true that you’ll automatically generate results within different metrics even if you’re working on a completely different metric because that is how social media works. For example, if your main objective is to drive sales with the posts you share, you’ll automatically also increase brand-awareness because it will be a by-product of your efforts. As a marketer, you always want to measure the results of your marketing efforts. What’s more, many marketers want to evaluate exactly how many pennies and dollars they’ve made from each campaign. Of course, different metrics are differently hard to measure, and while some are more specific than others in terms of allowing you to see how much you’ve made from them, not all of them can be evaluated in dollars and cents. However, having initially set your goals will allow you to better understand how they are helping your brand once you’ve put some time in executing upon your strategies. Perfection is only achieved after trial and error. This means tracking, learning from your mistakes, tweaking your strategy, and then executing a new, improved tactic. Tracking your results is vital because if you don’t know how you perform, you have no chance in improving. The only way for you to improve is by becoming aware of how your current social efforts are performing. 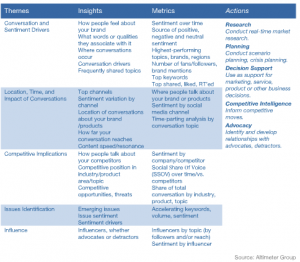 Analyzing, optimizing, and evaluating is crucial for any marketing success. Based on the information you extract, you want to take action accordingly. The information means nothing unless you use it to improve. If the data is telling you that Instagram is the most effective platform for you, you might want to consider investing more time into it. But you shouldn’t stop there. Evaluate what it is that makes Instagram so effective for your brand and try to implement those things into the less well-performing social platforms. If you see that a platform is performing terribly, it might be because your target audience isn’t to be found there, and if that is the case, you might want to consider removing it from your strategy to make time for the better performing platforms. The key to evaluating your efforts is constant testing. Experiment with A/B testing, try different methods, and cross the bad ones off the list and add the well-performing methods to your strategy. Last but not least, rewrite your social media strategy to reflect your latest insights, and make sure your team is aware of what has been updated. Having a social media strategy is essential for social media success. Without a strategy, you are operating in the dark and have no idea what you should do, how you are going to do, why you are going to do it, and what results you are generating from your social media efforts. By having a clear and concise social media strategy, you avoid wasting your efforts on platforms and campaigns that don’t work and can optimize and improve your current efforts for better Yourults. Your strategy will clearly tell you how you’re best going to target your ideal customers, and also, most importantly, how you are going to measure your social media results – and if you are generating any.